SuperSuet™ is the New BugBites!! For the birds in your backyard, suet equals energy! This high-fat, high-calorie, packed full of meal worms food is a favorite of many insect-eating birds, including woodpeckers, chickadees and nuthatches. 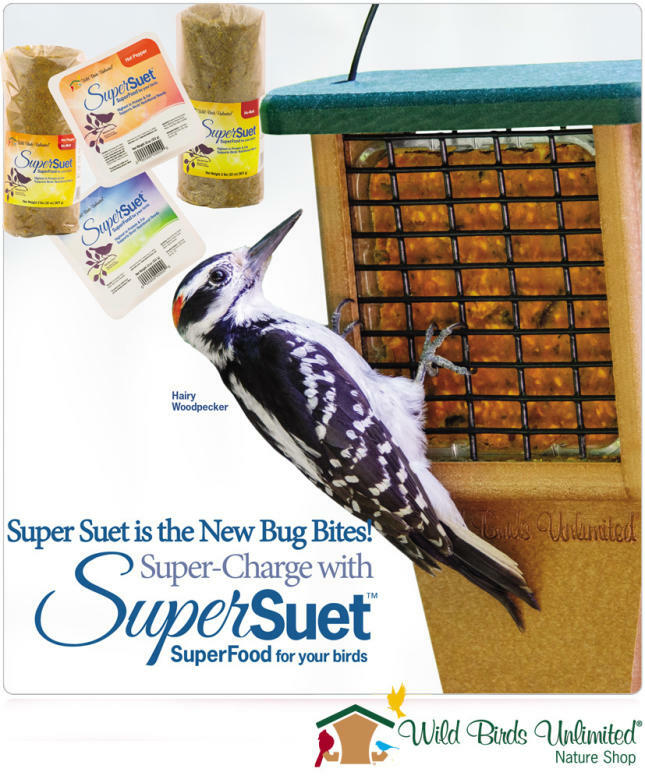 Now you can provide the very best with SuperSuet™ exclusively from Wild Birds Unlimited. It's our highest in protein and fat to support the birds' nutritional needs and give them a boost of the energy they need to make it though the day.